Published in the journal 'Science Advances', the study found that the immediate family and relatives of the Amish kindred with the mutation had a much better life expectancy than those without. The individuals involved had very low levels of PAI-1 (plasminogen activator inhibitor), a protein that comprises part of a "molecular fingerprint" related to aging or senescence of cells. PAI-1 plays an important role in the regulation of the human blood clotting system and is significant in the formation of many diseases. When people are missing PAI-1, they have increased breakdown of clots and abnormal bleeding that may be associated with heavy menstrual bleeding, bleeding with pregnancy and ovulation, dental work, injury and trauma. Amish people with this genetic mutation live to 85 years on average, which is significantly longer than the predicted lifespan of 71 for Amish people in general. People with the mutation live more than 10 percent longer and also have 10 percent longer telomeres - the protective caps at the end of chromosomes that are a biological marker of aging. This has a number of important implications, with this single mutation possibly linked to a lower chance of developing diabetes, improved cardiovascular function, retained flexibility in blood vessels, and even a lower chance of developing baldness. According to Dr. Douglas Vaughan, lead author of the paper and chairman of medicine at Northwestern University Feinberg School of Medicine and Northwestern Medicine, "The findings astonished us because of the consistency of the anti-aging benefits across multiple body systems... For the first time we are seeing a molecular marker of aging (telomere length), a metabolic marker of aging (fasting insulin levels) and a cardiovascular marker of aging (blood pressure and blood vessel stiffness) all tracking in the same direction in that these individuals were generally protected from age-related changes... That played out in them having a longer lifespan. Not only do they live longer, they live healthier. It's a desirable form of longevity. It's their 'health span.'" 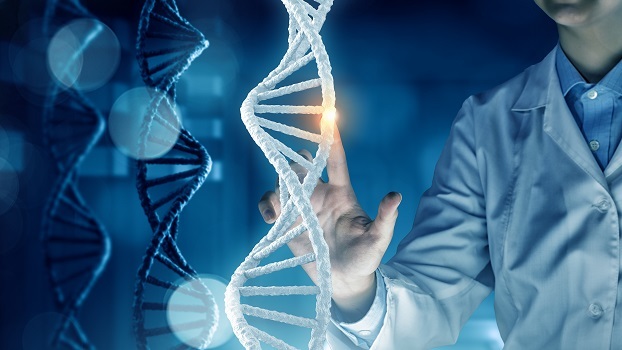 Scientists from Northwestern and Tohoku University in Japan are attempting to recreate the effects of this mutation to see if it's possible to protect a wider group of people. An oral longevity drug, currently known as TM5614, has been designed to inhibit the action of PAI-1 and protect against aging-related diseases. The drug has already been tested in a phase 1 trial in Japan and is currently in the phase 2 period. Northwestern will also apply for FDA approval to start an early phase trial in the United States, with trials possibly starting within the next six months. While we are still a long way from a readily available anti-aging drug, this important discovery has the potential to extend lifespan and delay the onset of numerous diseases in coming decades.